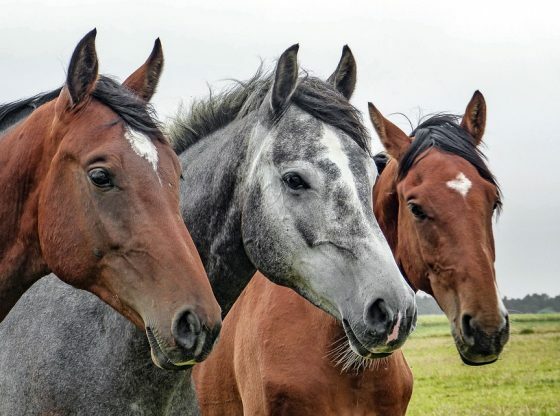 The slaughter of horses is a hot button issue — and for good reason. Since horses are intelligent and highly sensitive beings, they are keenly aware that they are in danger. They understand killing. And they fight for their lives — valiantly — until their very death. “If this issue was put before the American public tomorrow, the horses would win hands down,” states Mike Smith, an avid horseman. “The problem, really, is the battle over the lands they occupy — and they were, without a doubt, there first. It’s a simple issue, really. The BLM laid claim to the land. They issued grazing permits to ranchers and took monies from those people for the permits. The ranchers were unwilling to share the lands they’re paying for with the horses so the horses are being rounded up and sent to slaughter. It’s that simple. Some 35,000 citizens posted opposing comments when the BLM posed the suggestion of a roundup involving hundreds of wild horses in Utah — a fact publicized by the American Wild Horse Preservation Campaign website. The AWHPC is one of the most prominent groups working diligently to protect America’s wild horses from the greatest danger they face — our government. Currently comprised of over sixty organizations, their membership is actively engaged in advocacy, concerned with the public interest and striving to address the conservation issues that concern us all. Theyare also dedicated to preserving America’s wild horses within their herds — and they have a successful track record of literally taking government agencies to court for failing in their duty to protect and defend America’s horses as stipulated in the Wild Horse and Burro Protection Act of 1971. Too often, these entities are prone to caving in to the demands of ranchers and move to use the power they wield against the very creatures they are tasked with protecting. It’s then that these organizations must step in to defend. BLM has repeatedly proven that they are responsive to public opinion and, where they are not, they’ve been taken to court and prevented from moving ahead with plans to round up and pen herd upon herd of America’s wild horses — thanks largely to the efforts of the AWHPC and organizations like them, who have stepped in to protect the last free-roaming herds — estimated to be no more than 22,000 horses. If these remaining horses are taken from the range, they — like so much of America’s natural heritage — will simply be gone. It’s not necessary, at all, advocates contend — it’s simply a matter of convenience for governmental agencies run amok with power. Fortunately, these horses do not belong to the BLM or the U.S. Forest Service — they belong to the people of the United States. Most believe they need to remain free — enjoying their lives the way they were intended to live. Not languishing in pens with no end in sight, caged indefinitely. “Penning these animals,” states Smith, “is never the answer — as proven by the number of them that are living out their lives in both long and short term BLM facilities with little or no chance at adoption. “Instead, the roundups need to be stopped until homes can be found — and that will take a massive effort on the part of the BLM. 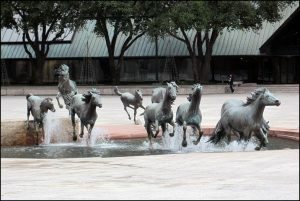 In fact, they need to take some of the monies they’ve taken from the sales of the lands these horses inhabited and create sanctuaries for them — natural habitat areas where they can continue to live and thrive, to form familial relationships and be what they were created to be — wild and free, as the remainder of American free range herds,” he stated.